Self-service analytics or self-service business intelligence refers to tools used to connect and analyze data, and which are operated primarily by business departments in the organization – rather than IT professionals or dedicated data analysts. While in the past business analytics was viewed mainly as an IT project, today the focus has shifted more towards the business user (e.g., a marketing manager or sales director). 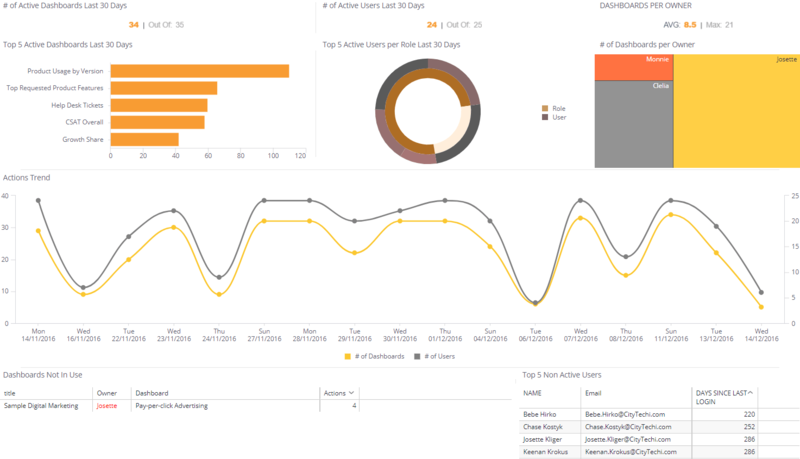 Most of today’s leading business intelligence software vendors provide some sort of self-service reporting capabilities, but these often do not encompass the complete process of analyzing data but rather focus on a specific element, such as creating interactive dashboards. How to determine whether a BI software is actually "self-service"? How easy will it be to connect to data? Is the functionality built-in to the product or will it have to be custom developed? How much scripting will be required when preparing the data for analysis? Do you need to have deep knowledge of SQL to do so? Will your business departments be self-sufficient, or will they constantly need to rely on the vendor’s professional services? Check out the resources below to gain a better understanding of self-service business intelligence, and to learn how to compare and evaluate data analytics tools that are presented as self-service. Is Your BI Solution Truly Self-Service? Discover the top rated tools in terms of ease of setup, implementation time, user adoption and more. Watch a quick demo to see how Sisense provides self-service analytics for business users working with complex data.